This pattern first appeared on The Stitchin’ Mommy, where I was a regular contributor. 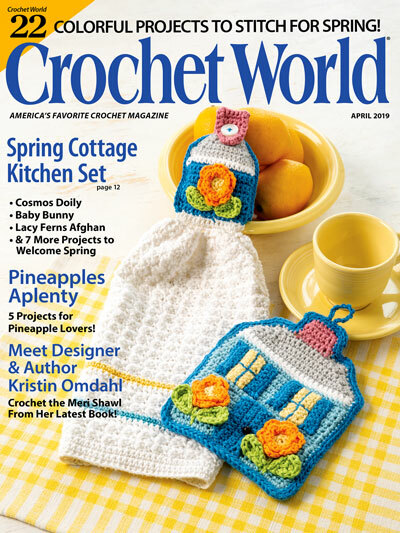 Back in February, I worked up some Cross Stitch Heart Earrings, and fell in love with the idea that I could cross stitch onto a crocheted piece – me and Aida have never really gotten along. This time, I am back with some sweet little Apple Earrings perfect for back to school and the upcoming fall season. You can change out the apple color, and background color to suit your preference – maybe you want it on a black background to simulate a chalkboard, or perhaps you love green apples more than red. Shop EyeLoveKnots Etsy: Cross Stitched Apple Earrings. Shop EyeLoveKnots Craftsy: Cross Stitched Apple Earrings. 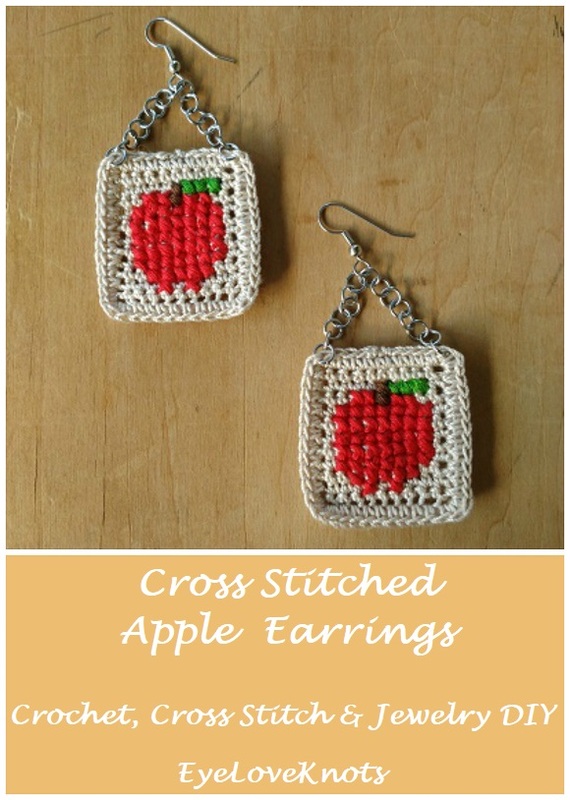 Shop EyeLoveKnots LoveCrochet: Cross Stitched Apple Earrings. Are you a Raveler? 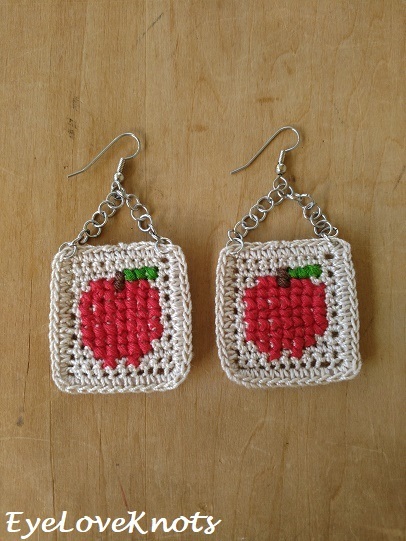 Share your version of this project on Ravelry – Cross Stitched Apple Earrings. Thread will also work for the apple, but the picture doesn’t come out nearly as full. I worked my first pair in thread, and then went for the embroidery floss. I worked up a pair in just over an hour. You can see a photo tutorial on assembly and cross stitching in my Cross Stitch Heart Earrings DIY found on The Stitchin’ Mommy! At the end of the first side of working on the frame, you may think it’s not long enough, but it is! Just tug at your piece a little to stretch. The second stitch of each corner should be over the pointy edge. If you choose not to work an invisible join, work the last step of the frame as 2 SC in the first stitch and join. I worked my final join as an invisible one. Photo tutorial of this in my Newborn Twin Chunky Beanie post. When working the cross stitch pattern, make sure to weave to secure your beginning tails in on the wrong side of the piece with a minimal amount seen from the right side – this amount will be covered up when you add in the stitches. 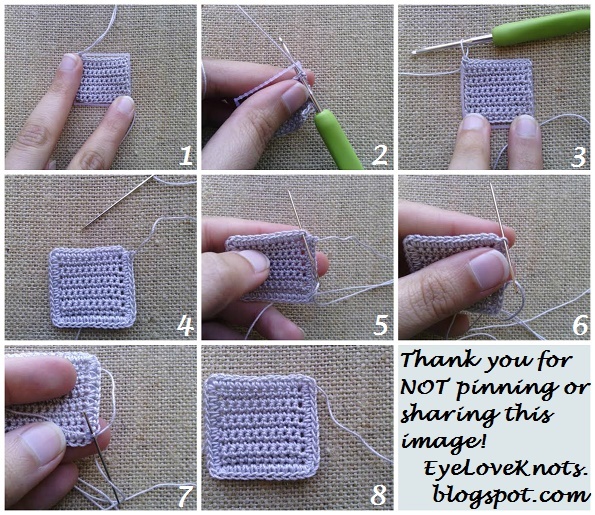 Also make sure not to pull too tightly on your stitches, or your piece will look distorted. Open jump rings towards you, not side to side, and close similarly. Pull up a loop and set aside. The reason I added the plastic canvas frame was because my finished square was not really laying flat, and since I am not a blocker, I thought of the frame so it would keep its shape and still be lightweight and flexible. Cut a rectangle out of the 10 Mesh Plastic Canvas that is 12 holes (Wide) by 13 holes (Tall), then cut all of the insides out so you are left with just the outer frame. This should be about just a little bigger than your finished piece. Chain 1, turn. SC into the first 9 SCs, 3 SC in the next SC – corner – SC 8 down the side of the piece, 3 SC in the next stitch – corner – SC in the next 9 stitches across the opposite side of the foundation chain, 3 SC in the next stitch – corner – SC 8 up the side of the piece, 1 SC in the first stitch join as an invisible join (or as 2 SC in the first stitch and slip stitch to join if not using the invisible join). 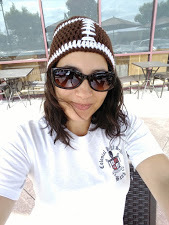 As a blogger, I rely on views to my blog to earn money from my ads. Please do NOT share my graph photo, or save to Pinterest. Doing so, would allow makers to not have to return to my blog, which would result in a loss of views and income. Using the above chart, cross stitch your apple. 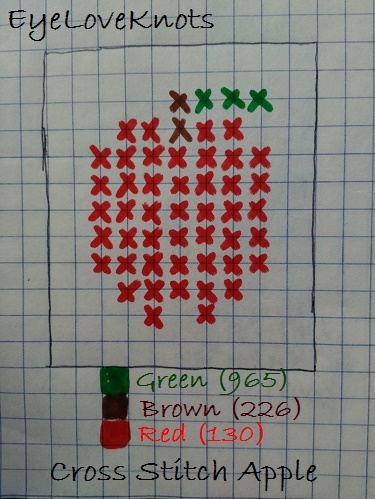 I worked my brown first, then green, and ended with red. *Please do not pin or share this image – link to the post instead. You will use seven jump rings on each side of the square, plus one in the center to hold the two sides together. Starting with the first one, open a jump ring, hook it into the corner stitch of your piece, and to an unopened jump ring. Close. Continue adding jump rings to create a chain of seven on each of the top two corners on your piece. Once you have seven on both sides, open an additional jump ring and hook it through both top jump rings to pull the two chains to the center. 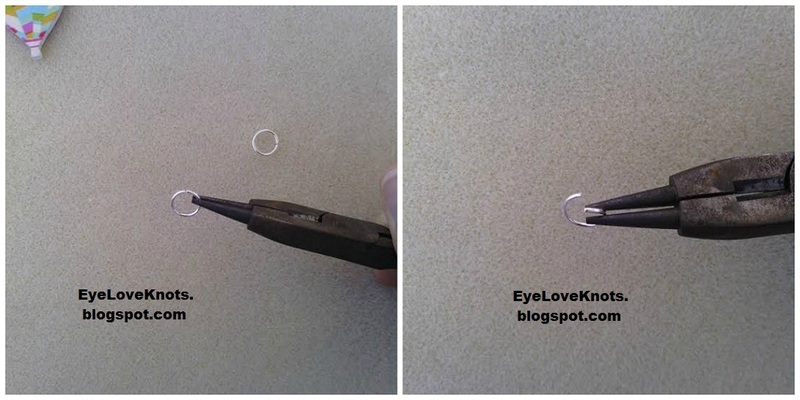 Open the loop on the earring wire, and hook onto both top jump rings. Close. Repeat for Second and Enjoy! Oh, they are so cute! Lovely step by step images :). Thanks! Try my best to provide everyone anything they might need to make their own. So pretty! 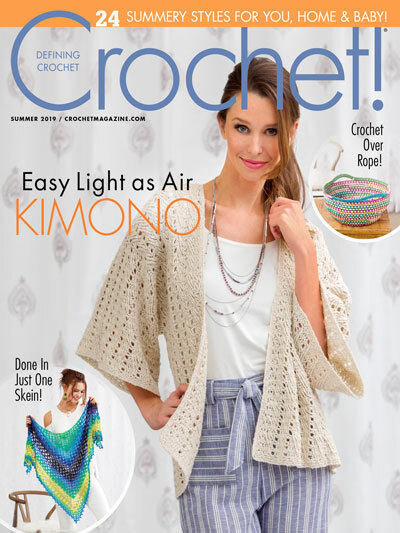 Thank you for sharing the tutorial and the pattern at The Really Crafty Link Party. Pinned. Love your descriptions on how to make the items you show. these are darling little earrings! These apple earrings are adorable. Love them. Thanks for sharing at Snickerdoodle. Pinning. Thanks so much, Beverly! I had a lot of fun stitching up these earrings. I love this project. So cute and original.